As Executive Vice President, Robert Kerr leads staff and manages the day-to-day operations of NAEA. Bob works closely with the NAEA Board of Directors, combining strategic goals with tactical initiatives to meet member needs and help grow the organization. He also works closely with lawmakers, IRS and other tax-related organizations to advocate for more effective tax administration and stronger protection of taxpayer rights. Before stepping into the EVP role, Bob served for more than 12 years as NAEA’s Senior Director, Government Relations. 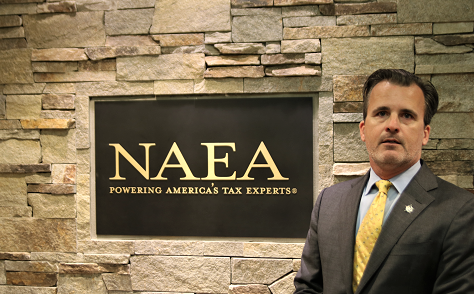 Prior to joining NAEA, he spent a decade at the Internal Revenue Service where, among other things, he led a variety of electronic filing initiatives. Bob provided IRS oversight on the United States Senate Finance Committee as well, and has experience leading government affairs activities in the private sector. Rebecca Hawes has over fifteen years of experience in government relations and advocacy in both the public as well as private sectors, with a particular emphasis on tax policy. Her career began as legislative counsel for former Senator John Breaux, a member of the Senate Finance Committee and key negotiator on numerous tax bills. In this role, she handled all tax policy issues for the Senator including developing legislative proposals and working closely with the Congressional tax writing committees to shepherd them through to enactment. She also worked with the Treasury Department and IRS on compliance and regulatory issues. While working for Senator Breaux, Rebecca successfully completed law school and passed the bar exam. In the private sector, Rebecca continued her focus on tax policy as an in-house lobbyist for a large corporation and at a small consulting firm. She gained valuable experience in developing and implementing successful advocacy strategies for advancing clients’ goals and priorities. This included communicating Congressional developments and their possible impact on clients, drafting legislative proposals, organizing and attending fundraisers and fostering relationships between clients and members of Congress. Rebecca has also managed two political campaigns, one in Nevada and one in New York City. She lives in Washington, DC and enjoys painting, entertaining and gardening in her spare time, which isn’t much, because of her very active ten year old son. Cassandra Brown, Associate Director of Finance and Administration at NAEA is charged with maintaining NAEA’s financial records through financial statement analysis and preparation. Some of her other responsibilities include cash management, budgeting, audit preparation, payroll and benefits administration, and enforcement of NAEA’s standards and policies. Cassandra manages the finance, human resources and IT areas of NAEA. 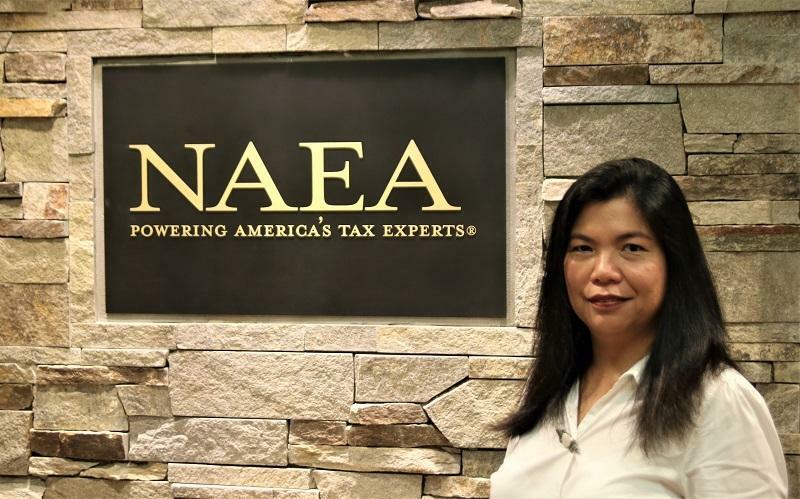 Gloriel provides accounting and clerical support within the finance and administration department as NAEA’s Finance Support Specialist. She works to accurately prepare and maintain accounting documents and records. Gloriel provides support to the finance and administration department by handling basic bookkeeping, processing reports, keeping financial records updated, and handling other financial business transactions. She functions at NAEA in accordance with established standards, procedures, and applicable laws. Ashley supports Administration functions within the Finance and Administration department as NAEA’s Administration Specialist. She manages employee time tracking, paid time off, human resource/ recruiting support and assists with financial research. Ashley works with NAEA's Affiliate Council, Board of Directors, Education Foundation Committee, and Nominating/Awards Committee(s). Ashley has a strong history working within Membership and Accounting departments. Her background in Political Science paired with 10 years of experience in membership based organizations and Hospitality have made her a subject matter expert in that space. In her most recent role as the Manager, Membership, Accounting & Technology, Ashley managed the full membership operations team, accounts receivables/payables and association technology. Ashley holds credentials as an Accredited Payables Manager and Certified Data Management Professional. Ashley is a Maryland Eastern Shore native and currently resides in Washington, DC with her husband Lynn Dale. Norman’s primary responsibilities are the administration, configuration and maintenance of NAEA’s association management system (AMS), web content management system (CMS), and learning management system (LMS). Norman is NAEA’s subject matter expert (SME) for NAEA applications. He works with vendors to understand the system functional and non-functional requirements, third party support applications, application security, external connections and support systems. Deonte supports office management functions within the Finance and Administration department as NAEA’s Office Assistant. Deonte works as NAEA's member representative assisting members via phone and email. In addition to member services, Deonte manages the upkeep of our office and works with outsourced vendors and building management. Katrina Holland provides leadership across teams and ensures that membership strategy for recruitment and retention aligns with business planning across the organization. She helps align strategy with operations by guiding the Membership, Marketing, Communications, Public Relations and Education functions at NAEA. She ensures timely implementation of NAEA plans to support organizational goals. In so doing, she works with the Membership Committee, Public Relations Committee and Affiliate Council to advance the strategic priorities of NAEA. Katrina oversees the management of NAEA's IT infrastructure planning, including the intersections of the membership database, website and other business tools where technological planning must meet member needs. Ms. Nilssen is a business executive with over 20 years in the areas of meeting planning and education. Lauren studied taxes and is a registered tax return professional. In addition, she has over 10 years of retail sales experience and marketing for the TV, consumer goods and computer industries. She has a strong background in budgeting and cost control. Lauren attained her meeting planning certifications (CMP, CMM) in 2006 and 2008. She also currently holds a CAE from ASAE. Lauren is studying to become an Enrolled Agent. She joined the National Association of Enrolled Agents in January 2019 as the senior manager of Education and Events. She lives with her husband, in Arlington, VA.
programs, which include webinars and self-directed online learning. DeAndre supports the activities of the meetings and education department. He assists with the planning and delivery of NAEA’s National Conference and two other programs. He is responsible for tasks related to the area of Continuing Education (CE) and processes involving the associations learning management system. As the Marketing Manager, Michael Fantus coordinates marketing activities for NAEA including membership, conferences/events, professional development, and performs market analysis/research. Ailson manages the Membership Department at NAEA, answering questions from current and prospective members, sending out member communications, and everything else member-related. Ailson has been working in association management for five years, and brings enthusiasm to her position at NAEA. As Web Content Specialist, Edward oversees NAEA's website by producing, implementing and maintaining content in an effort to improve web presence as well as ensuring information is accurate. He also provides management support for social media and digital campaigns to the Marketing and Communications department.